By default WordPress is one of the most search engine friendly Content Management System (CMS). But by the grace of ever-growing WordPress developers community, there are tons of SEO plugins available and you can tweak your blog to go extra miles. We have compiled a list of to 15 WordPress SEO plugins that you can use to improve your ranking and get more traffic. All in SEO Pack This plugin in one of the most downloaded and well-known SEO plugin for WordPress. Even though it has a Pro Version, still I believe it’s free version offers enough SEO features; like custom meta data, Canonical URLs, custom Page Title etc. WordPress SEO This plugin has been developed by Joost de Valk, well-known blogger and WordPress SEO Consultant. 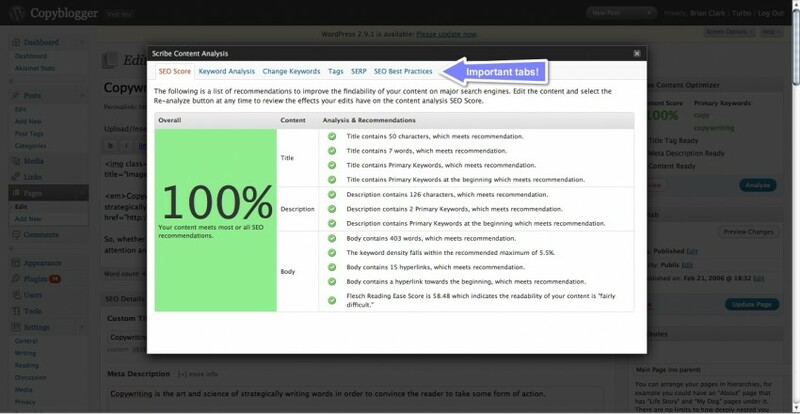 I would say it’s 2nd generation WordPress SEO plugins, (All in SEO Pack is 1st Generation). It offers much more SEO features Post titles and meta descriptions, Robots Meta configuration, Canonical URL, Breadcrumbs, Permalink clean up, XML Sitemaps etc. I like the way it shows Snippet Preview while composing any post. Google XML Sitemap This is another top downloaded WordPress plugin. This plugin will generate a special XML sitemap which will help search engines like Google, Bing, Yahoo and Ask.com to better index your blog. With such a sitemap, it’s easier for the crawlers to see the complete structure of your site and retrieve it more efficiently. Dagon Design Sitemap Generator This is a true sitemap generator which is highly customizable from its own options page in the WordPress admin panel. Some of its features include: support for multi-level categories and pages, category/page exclusion, multiple-page generation with navigation, permalink support, choose what to display, what order to list items in, show comment counts and/or post dates, and much more. Unfortunately, this plugin is not available in WordPress plugin directory. You will need to download the plugin directly from its author’s website. Scribe SEO This is a premium WordPress plugin by Copyblogger Media. It helps you in keyword research, high quality content creation for both readers and search engines and finally in link building. Its subscription starts from $17 per month. Google has already declared loading speed is one of the factors it consider to rank a page in search engine. The lower loading time you can achieve, the better chance you have to rank you page higher in the search result. Load speed has became a factor in ranking now. So here is a list of plugins to load your WordPress blog fast. W3 Total Cache Trusted and recommended by top web hosts and top websites; W3 Total Cache is the most complete WordPress performance framework. W3 Total Cache improves the user experience of your site by improving your server performance, caching every aspect of your site, reducing the download times and providing transparent content delivery network (CDN) integration. Personally I use this plugin in my own blogs and recommend my clients to use in their blogs too. WP Super Cache With more than 2.5+ million downloads, this is the most download WordPress caching plugin. It generates static html files from your dynamic WordPress blog. After a html file is generated your webserver will serve that file instead of processing the comparatively heavier and more expensive WordPress PHP scripts. DB Cache Reloaded This plugin caches every database query with given lifetime. Sometimes it is much faster than other html caching plugins and uses less disk space for caching. WP Minify This plugin grabs JS/CSS files in your generated WordPress page and passes that list to the Minify engine. The Minify engine then returns a consolidated, minified, and compressed script or style for WP Minify and place them at the footer. Yet Another Related Post Plugin This is my favourite plugin to show related posts for each blog post. This plugin uses a customizable algorithm considering post titles, content, tags, and categories to find related plugins. Again this plugin is highly customisable and fits any WordPress theme nicely. Redirection It is a WordPress plugin to manage 301 redirections, keep track of 404 errors, and generally tidy up any loose ends your site may have. This is particularly useful if you are migrating pages from an old website, or are changing the directory of your WordPress installation. Automatic SEO Links Forget to put manually your links, just choose a word and a URL and this plugin will replace all matches in the posts of your blog. SEO Slugs This WordPress plugin removes common words like ‘a’, ‘the’, ‘in’ from post slugs to improve search engine optimization. SEO Smart Links SEO Smart Links can automatically link keywords and phrases in your posts and comments with corresponding posts, pages, categories and tags on your blog. SEO Friendly Images SEO Friendly Images is a WordPress SEO plugin which automatically updates all images with proper ALT and TITLE attributes for SEO purposes. 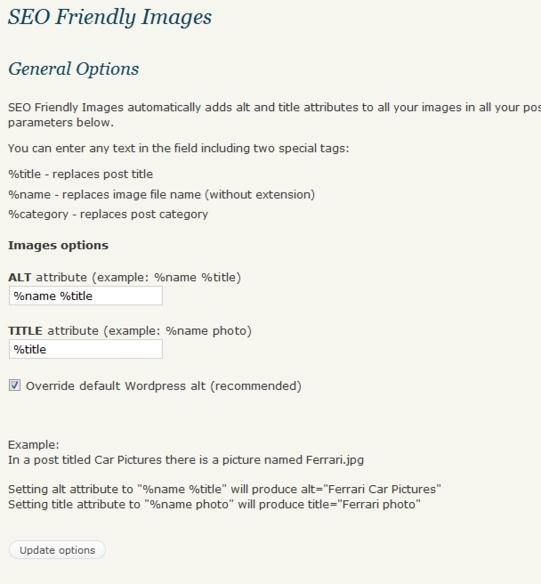 If your images do not have ALT and TITLE already set, SEO Friendly Images will add them according the options you set. 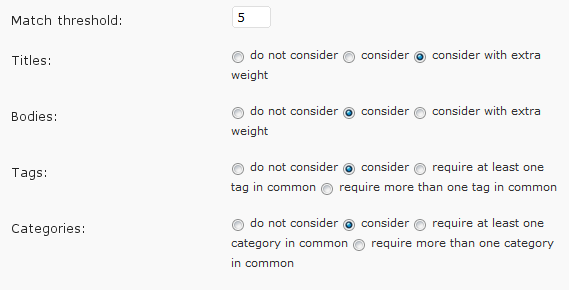 Additionally this makes the post W3C/xHTML valid as well. Previous post: Another Government website goes WordPress – Long Live WordPress & Open Source!